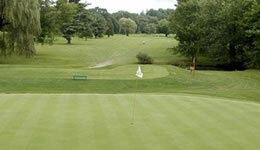 Since 1925 the Battenkill Country Club has been a social and sporting hotspot for residents in and around Greenwich, N.Y. Whether you’re enjoying a round of golf, having a meal, or mingling at the bar, Battenkill Country Club offers a great way to pass summer days. To experience the full benefits of the Battenkill Country Club, become a member. The way the course is designed, the Battenkill comes into view on nearly every hole. You can see it on the first green, the second and third holes, the fifth hole and the sixth tee. More than half of the course is right on the banks of the Battenkill.